After the photo of actress in MBC 50th anniversary special planning drama series Lights and Shadows, Nam Sang Mi, was released, it garnered attention. In the photo, Nam Sang Mi looks dignified, facial lines are clear, nose bridge stands high, possesses both urban temperament and classical oriental beauty, resembling the famous Korean actress Jeong Yun Hui during the 1970s, attracting the attention of Internet users. The role of Lee Jung Hye played by Nam Sang Mi is a gentle but strong in the heart woman, the movie that she played a leading role for the first time has also been a box office success, striving to realize her dream to be a star. The official related to the TV series said that with the development of the plot, the appearance of style of Nam Sang Mi in the drama will become more and more modern, as a fashion symbol in the drama, she is well liked by the viewers. Moreover, the drama also realistically reproduced the 1970s, brought back memories of an era and exposed the dark side at that time. 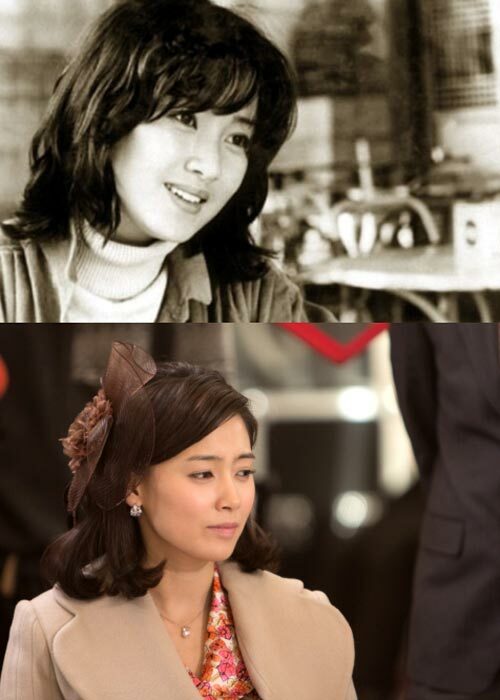 The beauty and acting of Nam Sang Mi which very looks alike with the top actress at that time is intriguing viewers.